The state has one of the fastest-moving systems in the country, and one lawyer said flaws are likely common. M.T. Warden's home in Salem was sold in a foreclosure two years ago, but he sued the mortgage company and won back his house when the company wasn't able to produce proper documents. The day his house was sold at an auction on the steps of the Salem courthouse, M.T. Warden said he didn't even know he was facing foreclosure. He knew he was several months behind on his mortgage. When he called American Home Mortgage Servicing to make a payment, Warden recalled recently, "they said my home had been sold, and I didn't live there." That was news to Warden, 30, who, at the time, was sitting in the kitchen of his Valleydale Road home. The next week, he found an eviction notice taped to his front door. Rather than move, Warden filed a lawsuit challenging the foreclosure. After his attorneys found flaws in the paperwork leading up to the Dec. 2, 2008, auction, the case was settled last year and Warden was allowed to keep his house. It was a rare win for a homeowner in Virginia, which has one of the fastest-moving foreclosure systems in the nation, according to consumer advocates. Foreclosures can be carried out in as little as 15 days -- less time than it can take to evict a renter. "There's no doubt that Virginia is one of the leaders in getting people out of their homes quickly," said Ira Rheingold, executive director of the National Association of Consumer Advocates. "Its laws are designed to help the banking industry, not the homeowners." In recent weeks, foreclosures in Virginia and across the country have fallen under increased scrutiny in the wake of revelations that some mortgage lenders cut corners and falsified documents in their rush to take houses from struggling borrowers. Attorney General Ken Cuccinelli joined his counterparts in the other 49 states in a national investigation into foreclosure practices. It's unknown just how many forced home sales in Virginia might have been affected, and to what degree. Tom Domonoske, a Harrisonburg attorney who represented Warden in the disputed Salem foreclosure, said he believes the flaws uncovered in that case are common. After Warden fell behind in his payments in fall of 2008, an official with Dallas-based American Home Mortgage Servicing signed a document initiating the foreclosure, asserting she had power of attorney to act for the lender, U.S. Bank. The foreclosure fell apart when the mortgage company could not produce the power of attorney -- a document that Warden's lawsuit claimed never existed. "It was just part of a shortcut they were taking," Domonoske said of the missing document. "Virginia allows the quickest, easiest foreclosure practice in the country, and it's still not quick enough for them," he said, speaking in general about the practices of mortgage service firms and others involved in the foreclosure process. "It's cheaper to cheat," Domonoske said. "If you cheat, you can get more money in your pocket." Nine years ago, Warden took out a loan to buy a modest, white frame house that sits amid shade trees on a quiet street in West Salem. Assessed at $105,000, the house and two-acre plot seemed like the perfect starter home. "I thought I was doing pretty good," Warden said. "There aren't that many 21-year-olds who go out and buy a house." Warden, a home improvement contractor, didn't have any problems with his monthly mortgage payments of about $700. But after his daughter was born in 2005, he decided he needed a car. To get some extra cash, he refinanced his home. The arrangement gave him $5,000 up front, but left him with an adjustable interest rate that in a couple of years nearly doubled his mortgage payments. "Looking back, I should have found another way to get five grand, but I was just 25 years old," he said. About the same time, Warden decided to form his own home improvement business. Times were tough, and it wasn't long before he started to have trouble paying bills. On Oct. 29, 2008, a law firm that had been appointed the substitute trustee by the mortgage company -- which in Virginia is usually a sign that foreclosure is imminent -- sent Warden a certified letter. "Please be advised that this firm has been requested ... to institute foreclosure proceedings," read the letter from Bierman, Geesing & Ward, of Bethesda, Md. Warden never got the letter because his mailbox had been knocked down during a traffic accident, he said. But that doesn't matter, according to Domonoske. Virginia law requires that notice be sent to a homeowner within 14 days of a sale -- a burden the law firm met -- but failure of delivery does not necessarily invalidate a foreclosure, he said. State law also requires that a foreclosure be advertised in a local newspaper at least twice in the 14 days before a sale. Had Warden known to scour the fine print of legal advertisements in The Roanoke Times, he would have seen two ads in November for a trustee's sale the afternoon of Dec. 2 on the steps of the Salem courthouse. Warden said he never saw the ads. At the auction, his home was purchased by the lender, Minneapolis-based U.S. Bank. About that time, Warden said, he contacted American Home Mortgage Servicing and offered to make good on his payments. "It was odd," he said, "because I was trying to give the people money, but they were refusing the money, saying it was too far gone." It was only after Warden went to Roanoke lawyer Roy Creasy, and later Domonoske, that the two attorneys were able to set the sale aside by filing a complaint in Salem Circuit Court. The lawsuit claimed that American Home Mortgage Servicing lacked the power of attorney it claimed to have from the bank when it appointed the Maryland law firm substitute trustee. Three months later, the case was settled. Warden was allowed the keep his house, and the foreclosure did not affect his credit rating. An attorney with Bierman, Geesing & Ward declined to comment. A call to U.S. Bank, which was named as a defendant in the lawsuit along with American Home Mortgage Servicing, was not returned. Equity Trustees, a branch of Bierman, Geesing & Ward, was also named as a defendant. A spokeswoman for American Home Mortgage Servicing declined to comment on Warden's case but defended the company's general practices. "We have spent an enormous amount of time over the last few weeks reviewing our foreclosure practices," Philippa Brown said. "We have very strong processes and procedures in place to ensure that our officers who sign affidavits and similar documents are appropriately reviewing those documents and validating the material." Although Warden fought the system and won, many homeowners in the midst of foreclosure don't have the money, time or fortitude to follow his example. Unlike when renters are evicted, there is no judicial oversight of foreclosures in Virginia, unless the homeowner files a challenge. Virginia is one of 27 states that does not require judicial approval. In the states that do, the process can take much longer -- six months or more. "The lack of protection for homeowners is just amazing to me," said Jay Speer, executive director of the Virginia Poverty Law Center. In Virginia, the process can be completed in as little as 15 days, after the 14-day requirements for notification to the homeowner and legal ad are satisfied, Domonoske said. 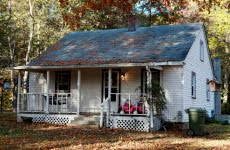 The normal time in Virginia is 45 days, according to RealtyTrac, which tracks foreclosures. For years, foreclosures were relegated to the fine print of legal ads and the sparsely attended auctions outside courthouses, where, often, the only bidder was a bank taking a home back to recoup its loss. But after the housing market crashed in 2008 as subprime borrowers defaulted, attention eventually turned to the foreclosure fallout. As the number of forced sales soared, attorneys for some homeowners began to question the paperwork from mortgage lenders and their law firms, dubbed "foreclosure mills" for their large-volume specialty. In depositions, bank officials admitted that they had not read the affidavits and other documents they signed en masse, a practice known as "robo-signing." Some of the lenders -- including Bank of America, GMAC Mortgage and JPMorgan Chase & Co. -- suspended foreclosures while investigating their practices. Banks have argued that any mistakes were technical and that the people being foreclosed on were in fact delinquent. "Our ongoing assessment shows the basis for our past foreclosure decisions is accurate," Bank of America said in a statement. Although many foreclosures have resumed, the investigation continues by the coalition of all of the nation's attorneys general. In the end, Warden admits he was late paying his mortgage and that he shares some of the blame. But he's troubled by the way delinquent homeowners are treated by a banking industry that received a bailout from the United States government. "As far as the foreclosure goes, banks are going to do whatever they want to do. They always have," Warden said. "What irritates me is they get all the money from the bailout because they were going to go under. But everybody who is being foreclosed on -- we don't get squat."